Tucson, AZ, WPH Press, 5/19/17- The 2017 WPH Outdoor 6 wrapped up its fourth ranking event of the season at the 2017 WPH 3WallBall Vegas Lte Gold Cup at the Stratosphere Hotel and Casino, with the world’s best 3WallBall stars putting on an incredible show on the Las Vegas strip. Samzon Hernandez maintained his WPH Outdoor #1 ranking by advancing to his fourth consecutive singles final this season and winning his second WPH Outdoor doubles title of the season. 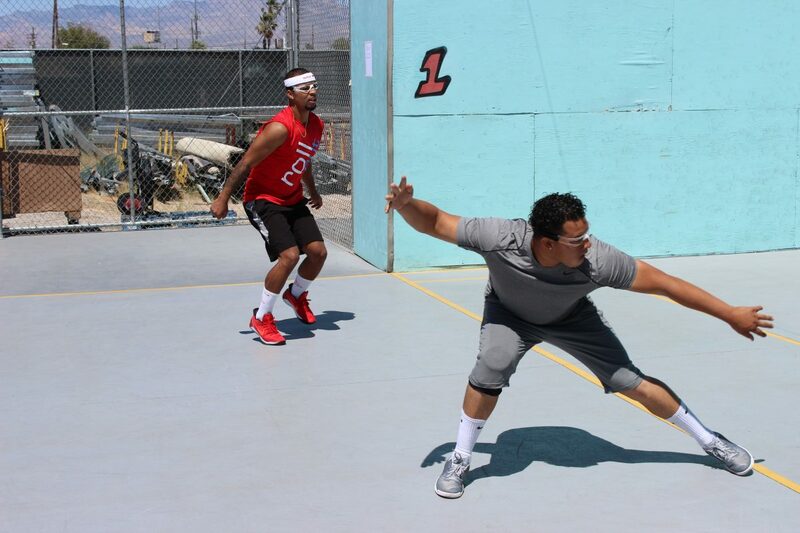 WPH Outdoor #2 Timbo Gonzalez closed the gap on Hernandez’s grasp on the top spot by slamming the Vegas Lte singles and doubles in dramatic fashion for his first singles title of the season and his second doubles title of the season. 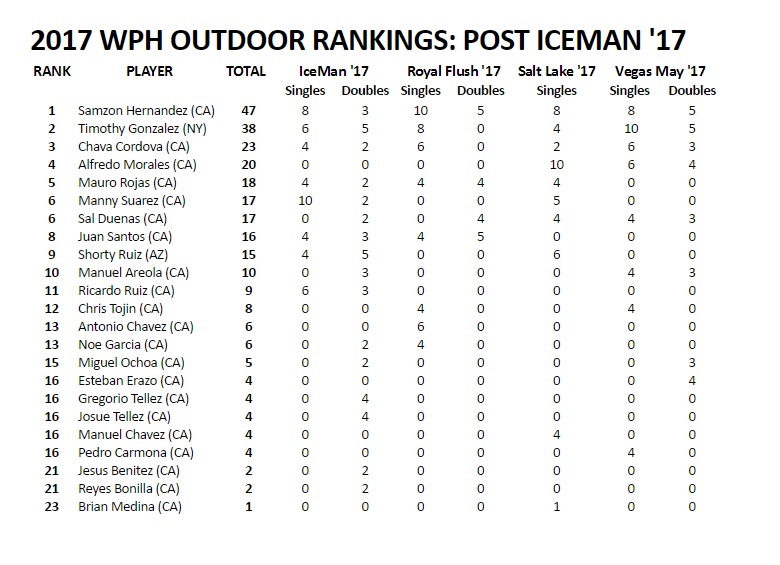 Hernandez and Gonzalez have separated themselves considerably from the pack of WPH Outdoor superstars heading into the WPH Outdoor 6 Fullerton Hotshots June 3-4. Check out all of the rankings below.